Big names in the media, political and business worlds are facing life-changing allegations of sexual misconduct. Many of these men have deservingly lost their jobs. These high-profile cases have likely provided many other women with the courage to stand up and challenge acts of sexual harassment in the workplace as well. Unfortunately, many employers may be faced with these tough situations. Every thoughtful employee benefits advisor or administrator considers COBRA each time there is a loss of employment. In situations of sexual misconduct, our efforts are often and understandably focused on the victims. However, in these tough situations, do not forget to address COBRA rights. A COBRA right arises upon the occurrence of a qualifying event. A qualifying event is a triggering event that causes a loss of group health coverage for the member and his/her dependents. Termination of employment is a triggering event under COBRA. When that termination causes a loss of group health coverage, COBRA rights arise. COBRA’s gross misconduct loophole says that if an employee is terminated because of gross misconduct, the termination is not a qualifying event and no right to COBRA arises. No doubt you are thinking, “serves him right.” However, the harsh reality is that the law says not only does the offending employee lose access to COBRA, but so do the spouse and dependent children. That is a little tougher pill to swallow. The COBRA statute does not define “gross misconduct.” Sexual misconduct terminations most often catch the family by surprise, throwing the situation at home into a tailspin. Once employers realize that denying COBRA to the offending former employee also means denying COBRA to the innocent spouse and kids, employers may choose to either offer COBRA to all and not raise the gross misconduct issue or to offer COBRA only to the spouse and kids. COBRA sets the minimum requirements. An employer can often do more than what is required. However, fully-insured plans and self-insured plans that carry stop-loss have another consideration. If the employer exceeds the COBRA requirements and offers COBRA in situations of obvious gross misconduct, is the insurer or stop-loss carrier required to provide the coverage? Employers should review their policies and service agreements to ensure that the determination of gross misconduct lies solely with the employer. Providing coverage that is not allowed under an insurance policy may leave the employer liable for claims incurred under coverage that should not have been extended. What if Sexual Misconduct is Not Gross Enough? COBRA may only be denied if the misconduct at issue is the actual cause of termination. 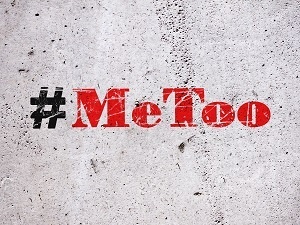 Workplace allegations of sexual misconduct are often one person’s word against another’s and are hard to definitively prove. Still, employers may terminate employees in these situations because of damage done to the workplace culture. These terminations may be preemptive and occur before a full and complete investigation is done. Most courts have held that evidence of gross misconduct acquired after the termination cannot serve as the basis for denying COBRA at the time of termination. In situations where proof of sexual misconduct is not rock solid, employers should be cautious in denying COBRA. A lawsuit brought by the family for denying COBRA coverage during difficult times can be expensive and can cast the employer in an unfavorable light. In situations of alleged but unsubstantiated sexual misconduct, an employee may be offered a severance agreement in exchange for his or her resignation. Often, group health coverage continues for a set time under the severance agreement. Employers should be careful to coordinate these extensions of coverage with COBRA. Employers have several options. For example, the severance agreements can be drafted so that the maximum COBRA period begins at termination of employment or so that the maximum COBRA period is deferred and does not begin until after expiration of the severance period. Finally, if handled correctly, employers can condition the receipt of severance upon the waiver of any rights to COBRA continuation. Situations of sexual misconduct are extremely unfortunate and life altering for those involved. The current movement has brought much-needed attention to the topic and will hopefully lead to more equal and safe work environments. As an employer, these are trying times. Make sure you handle COBRA appropriately so that you can move forward to a more positive future. This article was reprinted from the January 2018 issue of America’s Benefit Specialist Magazine featuring our very own Robert Meyers.